The much awaited Health Insurance Third Party Administrator (TPA) for state-run general insurance companies will start operations only by the end of the year, as against the scheduled April 2014. The TPA is waiting for the necessary regulatory license from the Insurance Regulatory and Development Authority (IRDA). 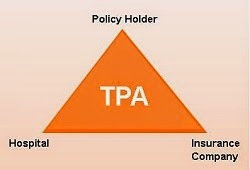 The Health Insurance TPA of India is the in-house third party administrator to handle health insurance claims of the state-run insurers, and was incorporated in August 2013. Currently, these claims are handled by external TPAs. The Health Insurance TPA of India Ltd is a joint venture of four state-owned insurers- National Insurance, Oriental Insurance, United India Insurance and New India Assurance. Each holds 23.75 % stake in the joint venture, while the state-owned reinsurer General Insurance Corporation (GIC) of India holds the rest 5%. Once the TPA starts its operation, the claim settlement from external agencies will gradually be transferred to the Health Insurance TPA of India.